CoD Black Ops 4 Blackout zombie spawn locations are pre-determined places where zombies spawn in the battle royale mode. A lot of them are call-backs to old Call of Duty Zombies maps. Finding the zombie spawn locations in Blackout can be very lucrative, because you can find zombie supply cache, which contains Zombies gear, possibly even Wonder Weapons. With that in mind, here’s our guide on zombie spawn locations in CoD Black Ops 4 Blackout mode. What is the Bright Beam of Light in CoD Blackout? The bright beam of light that you might encounter in CoD Black Ops 4 Blackout is a huge beacon that basically points you directly to the location where zombies have spawned, usually in a horde of five to ten mosnters. There are several pre-determined locations where zombies can spawn (some of which we’ll list below), and where the beacon points you, that’s where you should go. If you’re not sure what exactly we’re on about, check out the image we’ve provided below. Even though the bright beam is a dead giveaway for the zombie spawns in Blackout, it still pays of to know where they can appear. If for no other reason, then because you can get their first, or even camp out there, if you’re that kinda guy or gal. Finding the zombies will be well worth your while because of the rewards that you can earn, which brings us to the next section. What are Rewards for Killing Zombies in Call of Duty Black Ops 4 Blackout? The rewards that you get for killing zombies in Cod Black Ops 4 Blackout is usually consumables, such as health, perks, ammo, etc. 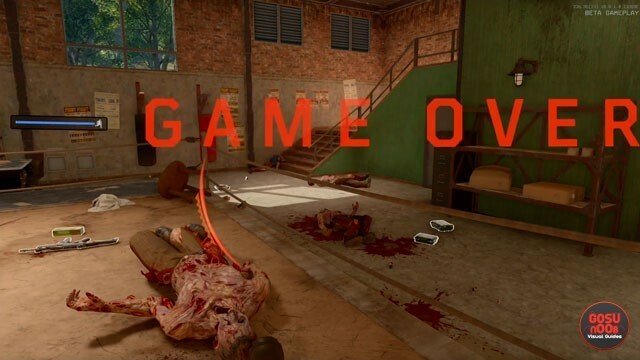 However, the main goal of clearing out the zombie spawn is the “zombies supply cache”. That’s what you’re gunning for. The zombie supply cache has a chance to drop some extremely sweet loot, which is zombie-specific, and even can include Wonder Weapons. The zombie supply cache is usually hidden somewhere in the area, sometimes even underground. Looking for them is always gonna be well worth your while, because you might end up with Monkey Bombs, a Zweihander, or a Ray Gun. Or, if you luck out and get a Wonder Weapon, you can get a Blundergat, Thunder Gun, Paralyzer, and so on. This can turn you into a true meat grinder on the battlefield. However, you don’t want to spend too much time in the zombie area, because it’s a dead giveaway of your location to other players. Be careful out there. The first of the zombie spawn locations in CoD Black Ops 4 Blackout is in the unnamed area east of Fracking Tower and west of Turbine, on the left side of the river, right at the river bend. Your target is the largest building at the very north of this little cluster of buildings. You’ll recognize it fairly easily, because it’s a boxing venue. It has boxing posters all across the outer walls of the building, it’s hard to miss. The second zombie spawn location is in the Asylum area, a huge, isolated building in the east of the map, in quadrant G4. It’s absolutely impossible to miss. The mansion itself is your main goal, itself reminiscent of the famous zombie map Verruckt. Basically, you can aim for the courtyard of the main building, but odds are, you’ll run into some zombies in the house, as well. Have fun! Quadrant C4 is where our next zombie spawn location is. It’s just west of the named location Array. If you zoom in the map, you’ll see three buildings across the road west of Array. The bigger two are your target. When you drop there, you’ll see a diner, called North Highway Diner, and a ruined gas station right next to it. This is where the zombies will spawn. It’s a pretty open area, so keep your wits about you. Next up is The Lighthouse. The named area is in quadrant C7, in the far southwest of the map. It’s south of the Cargo Docks area, just across the water. Basically, the whole Lighthouse is a zombie spawn area. Might remind you of the Call of the Dead map, if you’ve played Call of Duty Zombies before. Yet another location is a graveyard, at the very edge of quadrant G4. It’s to the south and a little bit to the east of the Asylum. If you zoom in south of the Asylum, you’ll see a gray road that ends in a loop. The graveyard is right next to it. Pretty appropriate location for a zombie spawn. Those are some of the locations where you can find zombie spawns in Call of Duty Black Ops 4 Blackout. We’ll update it if we discover some other locations. However, just trust us on this: wait for the bright beams of light, and make a beeline for them. It’ll be well-worth it.